Brownies are one of my favourite desserts (add pretty much any other dessert to that list….I have a serious sweet tooth!). I love them plain, frosted, with nuts, without nuts, topped with a giant mound of ice cream, you name it.. These brownies are chewy, chocolaty and coffee flavoured, reduced fat, and egg free! What more could you ask for in an eggless brownie…or any brownie at that? I love my brownies dense and rich with a crispy crust. Pre-heat the oven at 180deg C. grease 9” square or round pan. Sift wheat flour, oats, baking powder, baking soda, salt and mix well. Now in other bowl combine wet ingredients-oil, yogurt, vanilla essence, sugar beat well until blended and then stir in dissolve coffee mixture. Now fold in flour mixture into wet ingredients until combined and then add warm water as desired to form a batter. Pour the batter into the prepared pan and bake for 25-30minutes or until the tooth pick inserted comes out clear. Feel free to use plain flour alternatively to wheat flour . Posted on December 1, 2014, in Breakfast, Dessert, International. Bookmark the permalink. 45 Comments. Using oats and wheat makes it such a healthy recipe, Chitra. Thank you very much for sharing it. Can I skip the instant coffee without having any effect on the taste of the brownies? Also, can I just grind rolled oats to get powdered oats? These look divine again! I really wanted mine to be like these thick ones, but I think I put too little baking powder. Yummy! I’m definitely going to try your recipe! 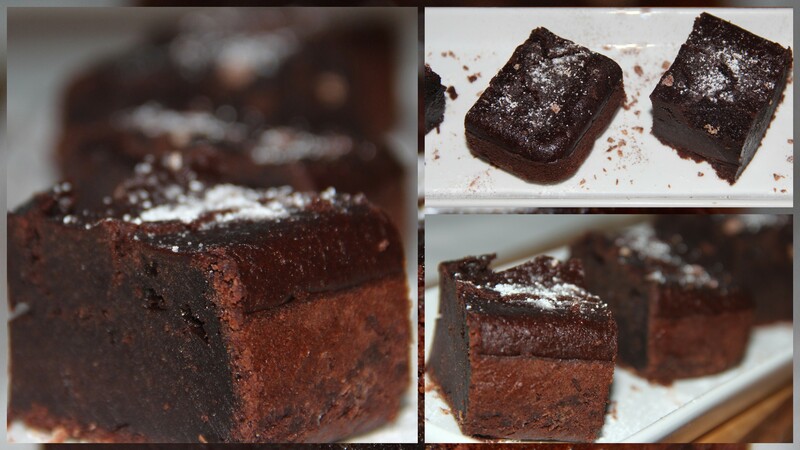 Great photos of the delicious brownies! Ooh this looks super yummy! I will have to try it during final exams! Can Iuse coconut milk instead of yoghurt, for I am looking for a vegan version, also would using the ready made coconut milk make it too watery, although it is thick but may not be as thick as curd? Ramanath – I want to try a vegan version..planning to use Silken tofu in place of Yogurt…If possible give it a try and am planning to do as well at a later time. Thanks for this wonderfully simple recipe… I made it today and its so yummy! I did not put Vanilla essence as the ingredients of the essence were all synthetic… I infact substituted with the traditional flavouring agent in indian cooking – Elachi powder… And guess what… the taste was really awesome! Thanks Charu for your feedback. It means a lot to my work…Have a good day.